Edward "Ted" and Pat Jones have created a towering legacy of contributions to Missouri's trails, parks, and natural spaces. In 1948, Ted Jones moved to St. Louis to work for his father, Edward D. Jones. Ted started the company's first one-person branch office in Mexico, Missouri. He was managing partner of the firm from 1968 to 1980, when he established the firm's signature small town brokerage system and the firm expanded to 300 branch offices. In the late 1980s, Ted and Pat donated $2.2 million for Missouri to acquire property and develop a trail along 200 miles of abandoned Missouri-Kansas-Texas Railroad rail tracks to form what is now the Katy Trail State Park. 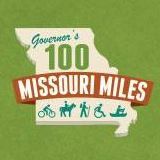 The trail continues to add miles--most recently 11 miles on the eastern end, a bridge connection to Hermann, Missouri, and a 47-mile connection to the Kansas City area. It all started with Ted and Pat's vision and generosity. The planned eastern terminus of the Katy Trail is the confluence of the Missouri River and Mississippi River. In 2004 the park at the confluence was named Edward "Ted" and Pat Jones-Confluence Point State Park in their honor. In 1997, Pat turned her farm into a nature sanctuary by donating it to the Missouri Department of Conservation. The 711-acre Prairie Fork Conservation Area fosters research, community education, and restoration of natural communities. These are just a few examples of Ted and Pat's generosity; specific projects are far too numerous to list. Pat is a generous supporter of the Missouri Rails-to-Trail Foundation, the Missouri Parks Association, the Missouri State Park Foundation, TrailNet, and other key organizations supporting trails, conservation, and state parks in Missouri. Jones was born Hilda P. Young in St. Louis. Her family spent weekends in the Missouri countryside, eventually buying property near Eureka (the Young Conservation Area). She enrolled at the University of Missouri and, in 1950, was the first woman in the state to graduate with a degree in agriculture. "Whole countries are divided by the ground they're on," she said in the Edward Jones video. . . .
Jones believed in Missouri State Parks and was a regular visitor for the annual Katy Trail Ride. She participated in the Tram Tours on the Katy Trail, including this year's tour in October. She also actively supported other state parks and conservation programs and their initiatives. "The Missouri Department of Natural Resources will miss Pat and all her love for state parks and nature," DNR Director Carol Comer said. 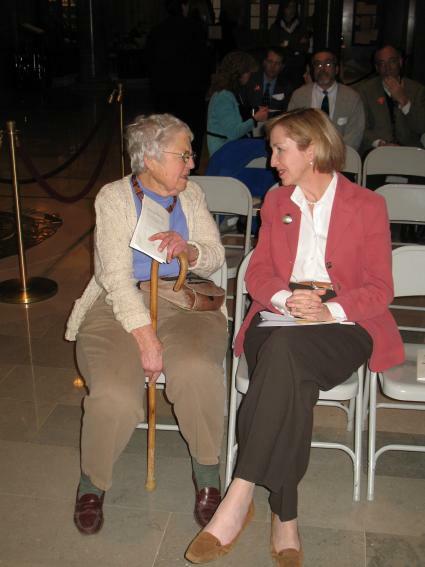 "Through her legacy, all Missourians and our guests can enjoy the very best of Missouri." She also had a deep connection with Westminster College, said Rob Crouse, director of public relations for the school. Pat and Ted first met in high school on an organized bicycle trip in the Ozarks. Pat graduated from the University of Missouri, College of Agriculture in 1950. That same year, Ted and Pat married and moved to Mr. Jones' family farm in 1954. The couple shared an intense love of nature and a keen interest in conservation. The two spent much of their married life on the 700-acre farm that Ted's father, Edward Jones Sr., bought in Callaway County, Mo., in the early 1930s. Thanks to Ted and Pat Jones' generosity, the Missouri Conservation Commission now owns the farm, where Pat continued to live and work following the death of her husband in 1990. They contributed to other park programs, too, so much so that a park near the confluence of the Missouri and Mississippi rivers north of St. Louis is named after them — the Edward "Ted" and Pat Jones Confluence Point State Park. In 1997, Jones — who graduated from the University of Missouri with a degree in soil science in 1950 and received an honorary degree from MU in 2017 — donated 771 acres of land to the Missouri Department of Conservation for the development of what is now Prairie Fork Conservation Area, a space dedicated to children’s conservation education and water, soil and wildlife research. It forged a relationship between the department, the MU School of Natural Resources and the Missouri Prairie Foundation, according to the release. 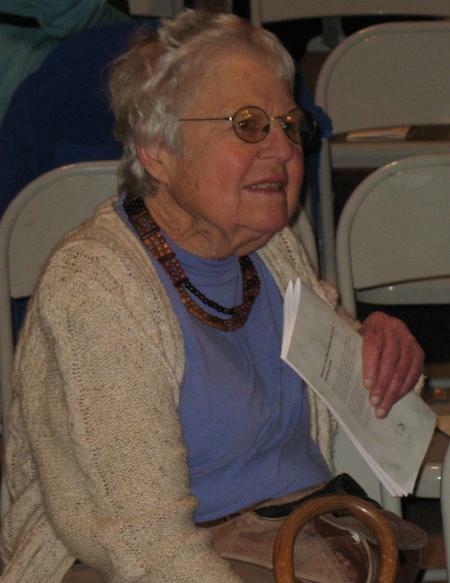 “Pat loved to see all the kids and activities at Prairie Fork, which she got to see every day out her back door, because she witnessed the next generation getting excited about exploring the land just like she did as a kid,” Sara Parker Pauley, director of the Missouri Department of Conservation, said in the release. “She always greeted the kids with a loud ‘Learn, Get Dirty, and Have Fun’ which is engraved on the wall at Prairie Fork in honor of her incredible conservation legacy,” Pauley said. “Without them, Katy Trail State Park would not have been possible,” Gov. Mike Parson said in the news release. Former Columbia Mayor Darwin Hindman, a good friend of Jones, said they talked regularly and met for lunch a few times a year as they grew older. Ted Jones also recognized the potential to turn a 225-mile stretch of abandoned railroad into a magnificent state park. He was a generous donor and force behind the creation of Missouri's Katy Trail, which is now a segment of the Lewis and Clark National Historic Trail and the American Discovery Trail, and was inducted into the national Rail-Trail Hall of Fame. Because of his efforts, the trail now attracts 400,000 hikers, cyclists and joggers each year. Pat Jones, who People magazine dubbed the "Prairie Godmother," enjoyed tracking the Missouri Conservation Commission's progress toward the long-term goal of restoring hundreds of acres of native prairie. The farm, along with its numerous examples of outstanding conservation practices, is the destination of many grade-school field trips, a source of great pleasure for Pat Jones. The Pat Jones Bicycle Pedestrian Bridge across the Missouri River in Jefferson City and the picnic shelter at the North Jefferson Trailhead are also named to honor Pat Jones.